Some of this depends on the area, but you can get walking, driving, biking, and public transport directions for major cities and select locations. Even in foreign countries. If this is available in your area, you will see a drop-down list of choices underneath the location and destination field. 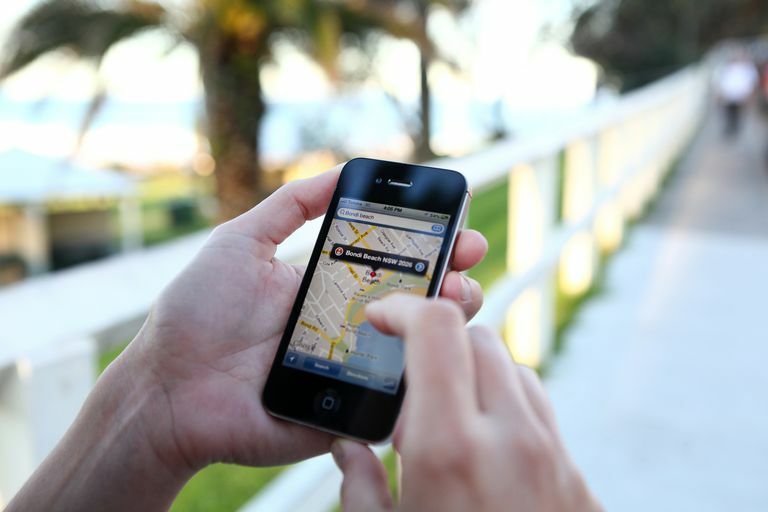 Select car, walking, biking, or public transport, and the directions are customized for you. You can make your own map. You don't need programming expertise to do it. You can add flags, shapes and other objects, and publish your map publicly or share it only with friends. Are you hosting a birthday party in the park? Why not make sure your guests can really find how to get to the right picnic shelter. If you click on the link text on the upper right-hand side of a Google Map, it will give you the URL to use as a link to your map. Just below that, it gives you the code you can use to embed a map in any Web page that accepts embed tags. (Basically, if you can embed a YouTube video on that page, you can embed a map.) Just copy and paste that code, and you've got a nice, professional looking map on your page or blog. Google Maps allows programmers to hook into Google Maps and combine it with other data sources. This means you can see some interesting and unusual maps. This takes a bit of technical savvy, but not an entire programming degree. This map gets real-time reports of celebrity sightings and shows the location on Google Maps. A science fiction twist to this idea is the Doctor Who Locations map that shows areas where the BBC television series is filmed. Another map shows where US zip code boundaries are, or you can find out what the effects of a nuclear blast would be. Google Maps for Mobile can tell you approximately where you are from your phone, even if you don't have GPS. Laptops and tablets are usually pretty good at doing this, too. Google put together a video that explains how this works. You do need a phone with a data plan to access Google Maps for Mobile, but it's a nice perk to having one. Do you know you need to avoid a construction zone or toll area, or do you want to take a longer route in order to see something along the way? Change your route by dragging the path around. You don't want too much of a heavy hand when you do this or you'll end up with a lot of weird bends in your path, but it's a very handy feature. Depending on your city, you can view traffic conditions when you look at Google Maps. Combine that with the ability to create an alternate route, and you can navigate the toughest traffic jam. Just don't try doing this while you're driving. Ok, this may not be news to you by now, but did you know there's no need to actually type your directions into an Android phone? Just hit the microphone button on the Google search widget, and you can use voice commands to get your phone to give you directions. My favorite approach is to just say, "Navigate to [name of location, city, state]"
Your results will depend on how well trained Google is to your voice and how exotic the name of your location is. If Google mispronounces it when giving you navigation directions, chances are your phone will have a hard time understanding you. You may need to type or pick from a possible list. This is an activity best done on the side of the road or by your co-pilot. Google introduced a Maps feature called Latitude that lets you share your location with select friends. You can update your location manually or automatically, and you can use Latitude on phones or standard computers. This is pretty old hat now that everyone is checking in at every location in Foursquare, but Latitude lets you do it without thinking about it or being incentivized with badges (they'll send you an email to remind you it's on). You can also look back and view your history. It's pretty fun after you've been to a conference in another city. Is your house in the wrong spot on the map? Do you know that the entrance to the store is on the other side of the block? Did the record store move? You can edit it. You can't edit every location, and you can't move things too far from their original location. Your edits will display your profile name to avoid abuse.